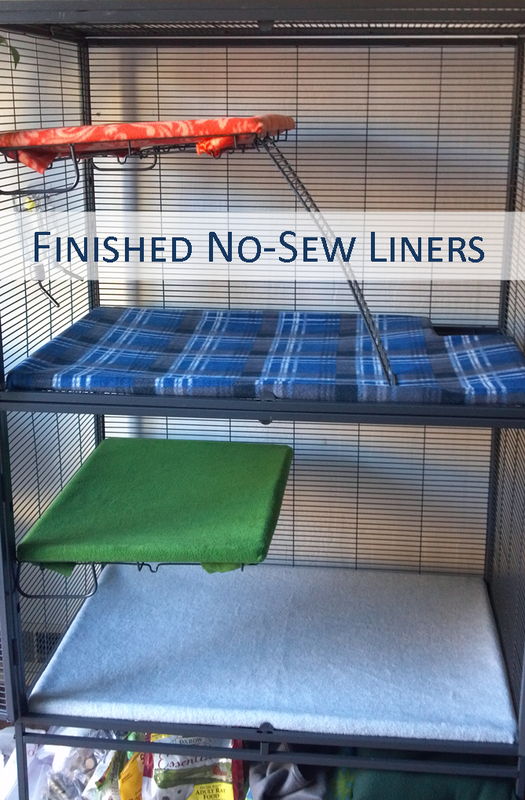 This tutorial will explain how to make no-sew fleece liners for your rat or other small animal cage. I have a Double Critter Nation from Midwest, so those are the dimensions included here, but you can apply the concept to your liners as needed. Note: please consider the personality and habits of your pet rats. I have two lazy, older males who don’t do much extra climbing or chewing. However, if you have agile, explorer rats who might get into the safety pins and hurt themselves, you may want to reconsider using this tutorial. The Double Critter Nation cage that I’m using has three types of shelves: bottom level, mid-level (with a hole for a ramp), and two smaller adjustable levels. 1. For rectangular shelves: lay your shelf on the material. In the picture above, I’m demonstrating one of the smaller adjustable shelves (height 17″, width 22.5″). You want about three or four inches of extra material surrounding the shelf. In this example, the material has been cut to 25″ height and 31″ wide, allowing a margin of about four inches on each side. 2. 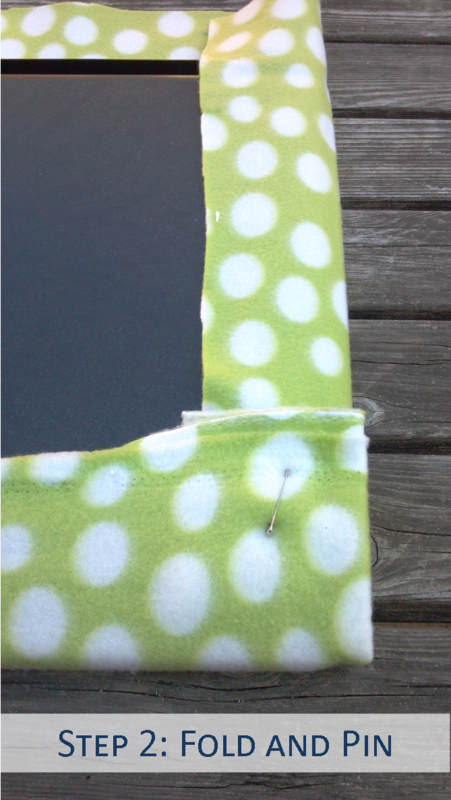 For each corner, fold the material and pin tightly with a safety pin. 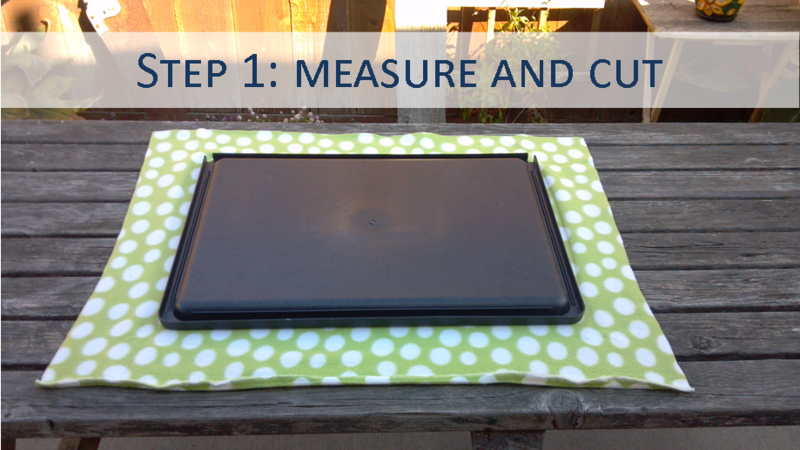 You want to pull the material taut, so the tension helps keep the fabric under the edge of the pan when fully installed. 1. 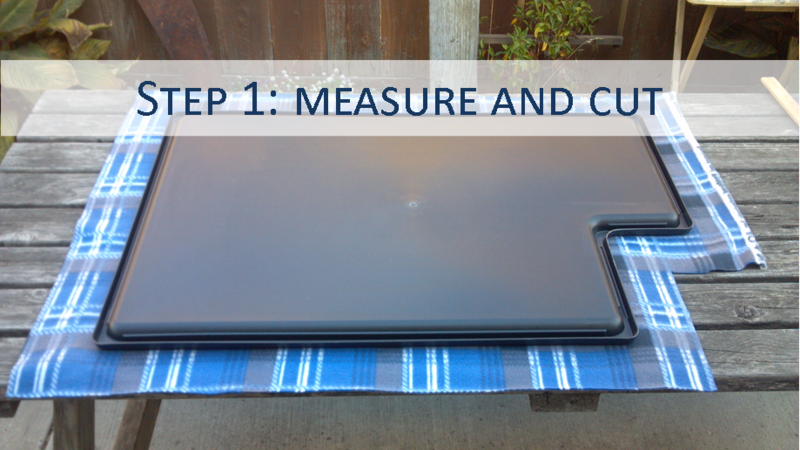 For an odd-shaped shelf, lay your pan on the material and cut around leaving about a 4″ margin on each side. In the example above, I’m using the mid-level shelf that has an unusual shape to accommodate accessibility between the upper and lower halves of the cage. The dimensions of this shelf are, from left edge clockwise to right: 17″ vertical, 34.5″ length, 13.5″ vertical, 5.5″ length, 9″ height, 17″ length. 2. For an inset corner as pictured above, make a diagonal cut but don’t go too close to the rim of the pan – leave at least an inch of allowance. 3. For each corner, fold the material and pin tightly with a safety pin. 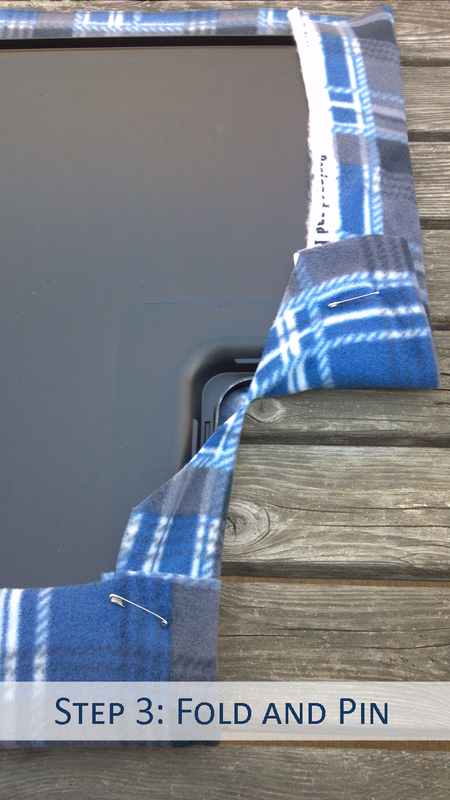 Pull the material taut, so the tension helps keep the fabric under the edge of the pan when fully installed. What do you think? 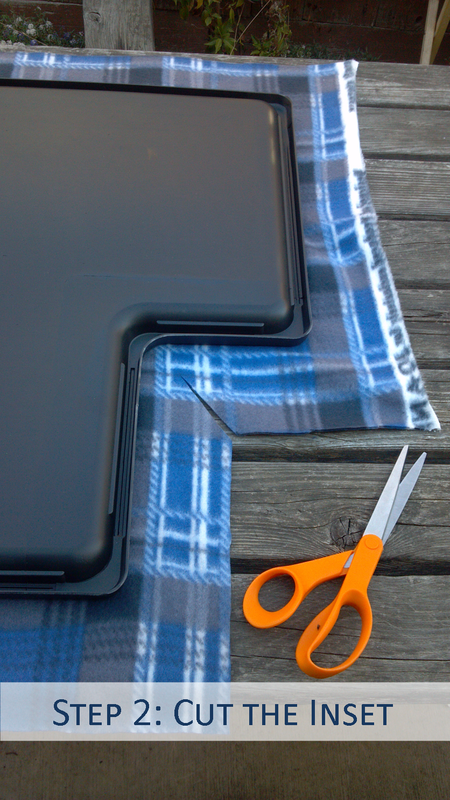 Have you ever had fleece liners like these? Yes, I’m pretty lucky that my ratty boys are lazy, older males who don’t really chew on anything. Your liners sound perfectly respectable – towels are great for absorbing. I just wish they were a little less expensive! Best wishes for your rats. Thewisemansbirdhat: yes, that shelf support came with the Double Critter Nation cage. In another post, I did add a shelf to my cage using a plastic tray with holes drilled. That shelf I attached with zip ties. You can read more about it here: http://wp.me/p45OOn-2D. Love this! I buy the cheap fleece blankets at Walmart and use 2 for the whole cage with some left over to make a hammock and toys. A whole cage set for about $6! Hi Whitney, the fleece is machine washable, so I just pop mine in the washing machine on a normal cycle at least once a week. Some people will soak the fleece in a combination of vinegar/water before washing to help reduce the smell. You’ll want to sweep up the droppings several times a week, too, to help with the overall cleanliness. Hope that helps.